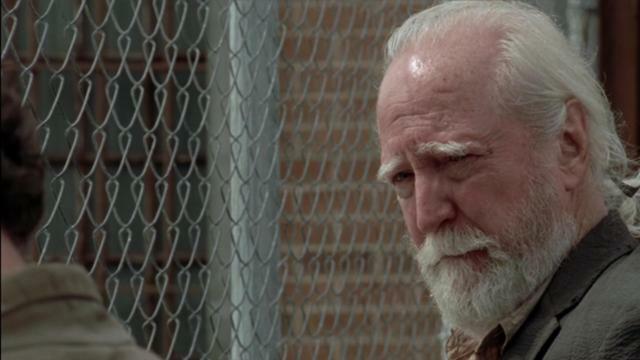 Scott Wilson, the actor known for playing Hershel Greene for three seasons on AMC’s The Walking Dead, died yesterday in Los Angeles due to complications from leukemia. He was 76. Wilson began playing the character of Hershel in “Bloodletting,” the second episode of the show’s second season. He made his final regular appearance in the fourth season episode “Too Far Gone.” His character was decapitated by the Governor (David Morrissey) during a raid on the prison. Throughout his tenure on the show, the character was one of the most trusted members of Rick Grimes’ inner circle. Hershel frequently drew on his experience as a veterinarian to provide medical assistance to other survivors and offered sage advice to Rick in times of crisis. Wilson made his film debut in 1967’s In the Heat of the Night. His other screen credits include an adaptation of Truman Capote’s In Cold Blood (1967) and The Great Gatsby (1974). He also had a memorable role in The Ninth Configuration, which led to a Golden Globe nomination for Best Actor in a Supporting Role. Most recently, Wilson starred on the Netflix science fiction series The OA. At New York Comic-Con, Walking Dead showrunner, Angela Kang revealed that Wilson would be reprising his role as Hershel at some point during the upcoming 9th season, which premieres tonight on AMC. The announcement came nearly an hour before news of the actor’s death broke. You can share your favorite memories of Wilson and his characters in the comments below.